This is one of my favourite comfort meals, quick to assemble, using ingredients that I generally have kicking about the house, and can just be slung in the oven and forgotten about, left to slowly pull itself together in a haze of blissful creamy soft salty rich glorious goodness. I’ve just polished off my second bowl of it, and frankly, it’s too good not to share with you all, so here it is. It’s easy to make it vegan – replace the hard strong cheese and mozzarella with Violife or something similar, and the milk with coconut or almond or soya milk, depending on what you prefer. It’s easy to throw together, and the reward of a deep bowl of melting goodness far outweighs the minimal effort involved in making it. I consider this an essential part of my repertoire these days, and barely a week goes by without it. It freezes beautifully, too, so do double the recipe and sling some of it to one side for a lazy day. First peel and finely chop your onion and sling it in a saucepan with a slug of oil. Cook on a gentle heat for a few minutes to soften, season with salt, and sprinkle in the flour. Mix briskly so that the flour coats the onions. Add a liberal splash of milk and beat well to form an oniony paste. It doesn’t look all that at the moment, but don’t worry, it’s going to get better. Add another splash of milk, and another, keeping it moving so it doesn’t catch and burn, nor go stiff and sticky. Stiff and sticky certainly have their uses, but neither of them are needed in this particular scenario. Repeat until all the milk is used up; it will be quite runny at this point, but it will firm up in the oven later. Finely slice your mushrooms, or break them up by hand – I’ll be honest, I like to just smash them between my thumbs, especially at the end of a stressful day. Try it, you might like it. However you choose to dismember them, add them to the pot and stir through. Add your cheese (or cheese equivalent), dollop in the mustard, crank the heat up, and stir through until melted. Tip it into an ovenproof dish, making sure the pasta is pretty much covered in the sauce, add more cheese on top, and optional breadcrumbs if you like that kind of thing, and pop it in the oven at 180C for 45 minutes. Serve, or if you’re anything like me, eat it from the pan in front of the telly to both feel ludicrously decadent, and save on washing up. I have made this in the past with garlic and grated celery added to the base, both of which add a real depth of flavour, but as this is a frugal cookery blog, neither are particularly essential to the main recipe, but they definitely add a little special something, so if you have either kicking around, give them a go. Just add them at the same time as the onion, a couple of garlic cloves and a stick or two of celery ought to do it. A pinch of chilli doesn’t go amiss, neither does a shake of nutmeg, and a handful of spinach (fresh or frozen) is always a good idea. But if you don’t have or like any of the little tweaks, seriously, it’s a pretty stunning dinner all by itself. I’ve never added uncooked pasta then cooked for 45 minutes – usually cooked pasta and then cook for 20 mins. Sounds much easier! Probably my original sauce would be too thick, while yours would be thinner, so cook the pasta better and thicken while doing it. Nice to get a new post from you, hope all is going well after all the trials you’ve had with the appalling Hopkins woman! Sounds fab! Definitely on my to do this, this weekend. 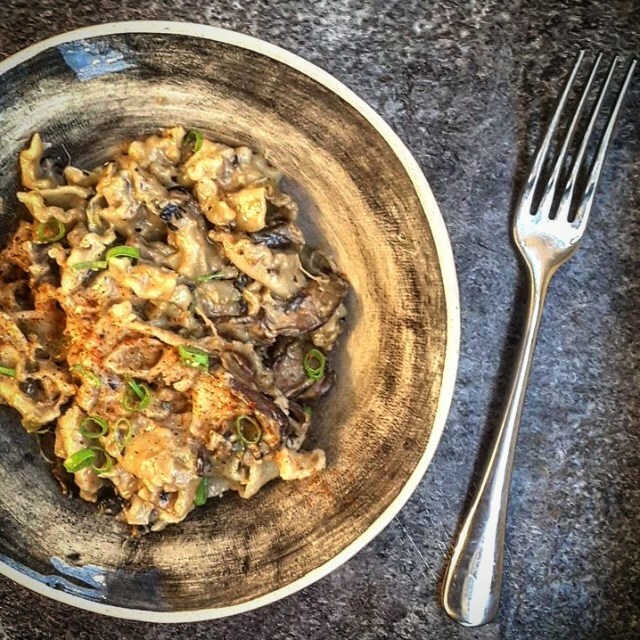 I’m going to try this was of doing it rather than cooking pasta first- but will need to make it gluten free – I use cornflour for thickener and gf pasta – mushrooms sounds a really good addition. Have you stopped being vegan then? This was opened before supper was planned. Now the healthy salad I had planned sounds way too bland. 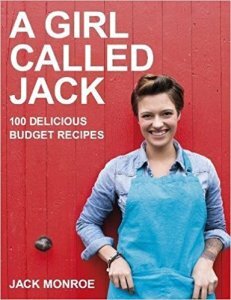 Really pleased to see a budget recipe from you after a long while, as we are really feeling the pinch and need to eat as cheaply as possible, while staying healthy. Love your recipes – Diet Coke Chicken is my son’s all time favourite meal. I also love how you know what things to swap/substitute for others. I never really have any idea where substitutions are concerned, so thanks for your help. Also, I really like the clean lines of your photo / blog header (is that what you call it?) above. Did you remove the cupboard doors yourself? They look great. So glad you’re back! Being currently on maternity leave, with all income having now stopped, baby brain has also left me totally uninspired. I’m cooking the same three dishes on repeat, and can’t even remember the types of things I once used to cook and take pride in. I really needed this email update hitting my inbox tonight, as it’s reminded me of my go-to source for ideas when I was tight on cash before. 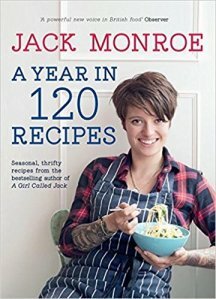 I remembered your whole catalogue of recipes and that’s really cheered me up – both because I know they’re on a bootstring (I really need this right now), and because it’s reminded me of my love of food and cooking – and I’d lost so much of that passion and inspiration when watching a baby all day has absorbed every other second. Thank you!! I’m vegetarian too, so these ideas are great! Ah but R4’s Food Programme did a whole episode on Mac & Cheese – so maybe things are changing! Thanks Jack. Good to have you back. I’m rhyming! If you stick a handful of soaked cashews (i’d do 10g per person) in a blender with tapioca starch and cider vinegar or lemon juice and heat it in a pan you can easily make vegan mozzarella! there are a few tutorials dotted around called ‘vegan moxarella’ if you’re interested. I think the price works out comparable to the non vegan versions, but cheaper than something like violife. Wow . . Thanks for that! 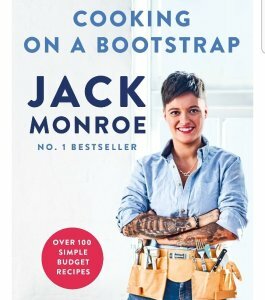 So glad to have you back with the cookery crowd that needs you Jack! I will definitely try this, adding uncooked pasta means less washing up = happy mummy! Thanks Jack. Another interesting recipe, will try it this weekend. I like that with jalapenos from the deli round the corner, one of my favourite comfort foods. I’ll try it your way, see what the mustard does to the flavour. You mentioned above that you made the recipe easy for people on low-budgets (hence the cheese) – but that kind of suggests that it’s hard to follow a vegan diet on a budget, which just isnt the case. As someone mentioned above, you don’t need to buy expensive pre-packaged vegan cheeses, it’s really simple to make them with blended nuts and seasonings. I just think if youre going to put cheese in a recipe you may as well go the whole hog and put ham in it too, since arguably the dairy industry is far worse than the meat industry. I’m going to have a go at making my own cheese and if it’s cheap and easy, I’ll blog about it. Most people do eat cheese and drink milk – and those who don’t, can use alternatives. I’m not going to insist that 122k people drastically change their diets just because I have, but do do a lot to show how simple vegan and vegetarian food can be. That’s what I love about this site – I am honestly a fan, and use and love your recipes often. I totally take your point, and of course you are doing much more than me to make vegan and vegetarian cooking accessible and exciting to a large audience than I am. Dairy just grinds my gears. Anyway, yeah highly recommend embarking into the exciting world of cheese making – quite a lot ask you to soak the nuts for ages – but you can speed that part up by boiling them up til theyre soft (tenish mins) – I think ItDoesntTasteLikeChicken and HotForFood both have good recipes on this, but they are fairly easy to tweak. Admittedly Ive never costed it up before so that’ll be interesting to see. Buying cashew nuts can be pricey – but I found big bags in Asda for 3 quid. I think there are also recipes that dont even use nuts as a base – someone above mentioned tapioca starch, which is truly magic at making all things gooey – also amazing how closely you can approximate the taste with careful application of salt, garlic and onion powder and vinegar/lemon juice. I’m having trouble finding cheap nuts – they always feel really decadent to me – so any hints about how to find them would be great, if you know of any. I agree Jack. I am a carnivore who is trying to cut down a little. I don’t think I will give up proper dairy and like your blog because it has “something for everyone”. I am also a psychologist who works as a clinician in an impoverished suburb with high unemployment and part of my role is facilitating cooking classes for parents who are usually making do on a benefit. Most do not identify as vegan but have to eat a lot of meat free for financial reasons. So I love this blog as well s all that you have achieved. But why not Jack? Presumably you went vegan because you thought it’s the right thing to do (which i agree with), just like you would vote for Diane Abbott because you think she’s good (again wholeheartedly agree) and you were not shy in letting people who might not agree that they should drastically change their mind on her. Same for any other issue of justice, fairness, equality… you’re an inspiration to so many people (me included) and i would love and admire you even more (if possible!) if you spoke up for animals, they are even more voiceless than the most vulnerable human members of our broken society. Caring for them does not take anything away from the care we owe people, it just extends the circle of kindness love and compassion. I imagine that due to your personal history you identify strongly with people living in poverty. You’re also a mother – I ask you to think of what those mothers go through when their babies get taken away from them so that members of other species can drink their milk, the milk they produce to feed their youngs. It is a crime and it’s even more cruel when you think that cheap and alternatives are available. Think how much good would do if some of your 122k followers drastically changed their habits and went vegan with your help. We who believe that financing the meat/dairy/egg industry is wrong must do more to help others making that connection and act on it. Lidl are good too for fairly priced good quality ? ? Sounds delightful!! know what we’re having tonight! This WILL be happening tomorrow night. Thanks. Thanks for this, just made it and it was so easy and delicious. I didn’t have any mozzarella but added some camembert also some frozen spinach. So glad you are posting again. I do sometimes read your twitter feeds, but I love your style of writing. You have given me back the confidence to cook, and I feel I am looking after myself when I cook a big batch of one of your recipes on the weekend, so I will have something healthy to eat during the week. I work as a mental health support worker, which involves a lot of arguing with benefits officials. Some are almost human. Looking forward to more recipes please!!! Just had this for tea and it was delicious, thank you! I have, as yet, been in no way inclined to make my own-as lovely as the cashew nut alternative sounds? I have just existed without the joy of?? This dish however sounds yummy, easy and cheap to make?? So, despite my previous disappointments with trying vegan cheeses, I am going to treat myself to some Violife and hope it tastes better cooked, all mixed up in a gooey goodness of oniony, garlicky pasta joy? How many grams exactly would you say to add, 20-30? So looking forward to trying this?Can you tell by my excessive use of emojis⁉️? Had this mid-week and turned out delicious. Added random left over veg and topped with tomato/pepper/courgette slices. The onion is mainly for taste IMO, but it does make something for the flour to cling to. Maybe try grated courgette (cook for a bit longer as they’re wetter than onions) if you don’t want to risk leeks and maybe a drop of lemon and a pinch of salt to round out the flavour? Hi, Jack. So happy to see you posting again You have been on my mind and in my prayers. I plan on trying this recipe new weekend after I get paid and look forward to your blogging about making cheese. Take care dear one. So I love this blog as well s all that you have achieved. Anyway, yeah highly recommend embarking into the exciting world of cheese making – quite a lot ask you to soak the nuts for ages – but you can speed that part up by boiling them up til theyre soft (tenish mins) – I think ItDoesntTasteLikeChicken and HotForFood both have good recipes on this, but they are fairly easy to tweak. I made this last week – double-and-a-bit quantities (so as to use up a whole bag of pasta) and I upped the proportions of both cheeses a little. Used a hob-to-oven pan so I didn’t have to pour it from one thing into another. Delicious!!! This is going to be one of my staple batch-cooking recipes from now on, for sure. Yummy!! It look so yummy!! I’ll definitely make this. This dish is bloody delicious! Even though I ballsed it up and completely misread the method whilst my hungry 3 month old baby was having a total meltdown (you’d think at 3 months you would be able to suss the routine thing wouldn’t you? not me!) it still tasted amazing! Maybe it was because we’d planned to eat at 7 and finally sat down at 9 starving, I don’t know but I can’t wait for the successful version! Oh and I threw in some diced pancetta with the onion for a non-veggie version! Gonna be trying this one tomorrow as I have some mushrooms that need eating asap. A good money saving tips for all parents with crust dodging kids…cut off sandwich crusts, pop in a blender and then in a freezer bag…perfect for fishcakes or when recipes calls for them! I’m no cooking expert believe me but I tried your recipe. Had a problem at the “Mix briskly so that the flour coats the onions. Add a liberal splash of milk and beat well” stage. I did mix briskly and I did beat well but I got loads of sticky lumpy bits that made themselves at home in the saucepan and refused to leave. I’m just wondering if I should have firstly made the milky flour liquid and stirred until red in face to eradicate lumps, then added the onions. Anyway the end result was fine – I threw in some old cauliflower florets for a bit of texture. I’ll keep practising! I made this for my tea last night – was a bit nervous at putting uncooked pasta in the modest amount of sauce but I trusted you and it worked amazingly well! I used almond milk and put some rosemary in with the breadcrumbs. This will now become one of my regulars ? Thank you so much for this recipe! It’s delicious and really comforting. I’m cooking it for the second time this week, which is using up the ingredients in quite a neat way. So I love this blog as well s all that you have achieved. So I love this blog as well s all that you have achieved.